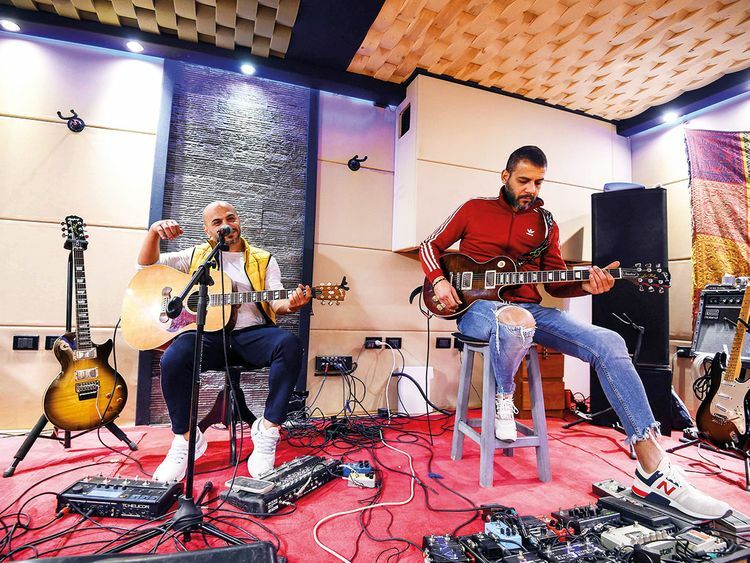 Cairo: Standing before a rapt crowd, Ahmad Adel oozes charm with his passionate performance of an Egyptian classic, evoking a romantic nostalgia for Arabic songs of the past. “Ya leil” (“O night”), he sings, with the dreamy languor of the original performer, Egyptian legend Mohammad Abdul Wahab. “But Abdul Wahab and (Egyptian diva) Umm Kulthum have lasted until today,” said Adel, before his performance in the tiny Mamluk-era hall at the Arab Music Institute. In the past, the rise of revered singers, such as Umm Kulthum, Abdul Wahab and another Egyptian Abdul Halim Hafiz among others, saw Cairo billed as the Hollywood of Arab song, attracting talent from across the region. During events such as the “Khulthumiat” (the music of Umm Kulthum) or “Wahabiyat” (the music of Abdul Wahab), organised by the 100-year old institute, Adel is often the lead singer with an entire troupe from the Cairo Opera House accompanying his powerful vocals. “I bring (pop stars like) Angham, Saber Al Robai, Wael Jassar. They are beautiful voices that have an audience among the youth,” said Morsi. “We try in our lyrics to talk about social problems or things that nobody else will speak about,” said Al Dakkak.